I showed everyone this picture in the first post of this mini series. I also mentioned that I hoped everyone would know what it was by the end of this. 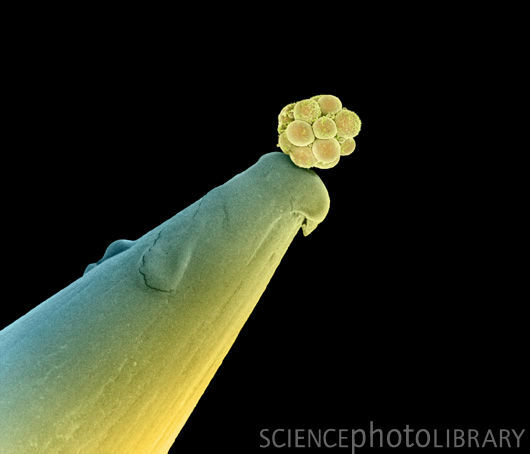 If you didn’t guess, it’s an embryo! In fact it’s a human when they are only 16-cells big (16-cell stage embryo). The thing that the embryo is sitting on. That’s the end of a needle, or a pin. It’s absolutely tiny, and we were all that big once! I’m probably going to do a couple of aside posts on babies, and maybe an extra evolution and DNA post in.